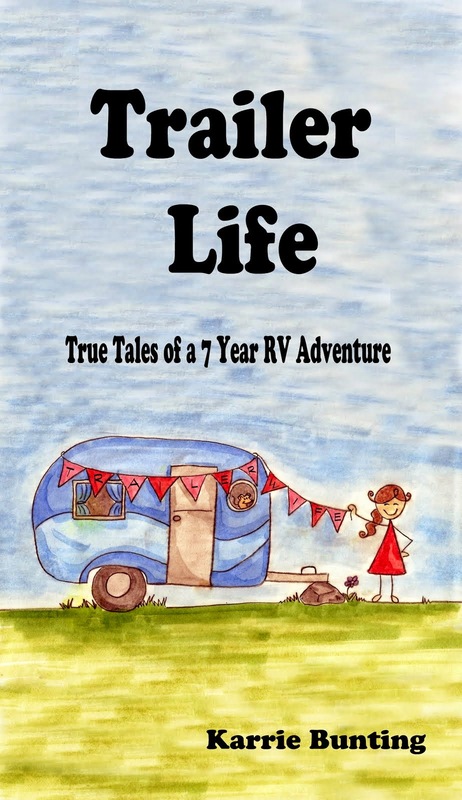 "Trailer Life", by moi, will be available as a free Kindle download the next three days. This October 17, 2015 through Monday at midnight, Trailer Life is yours for the taking. I do this because I think it's fun...and because I realized long ago that writing doesn't really make any money, so I might as well just have fun with it. I think I've made enough take the fam to Taco Bell. Twice. I am contemplating locking myself in a room and cranking out a book that would be completely different that Trailer Life. Like, totally fictional, but based on a true story. A thriller. With death. And then offering it for like $.99. But then I think, I still need to do some research at the state Board of Equalization and tax information, so that *crossing my fingers, toes, and still praying* if I pass the bar (only one more month of wondering if I have to study again) I can be all expert like in my estate planning and asset protection. In happier news, roads are all closed down and we are having mudslides and weather! Welcome, El Nino, (that second "n" needs a squiggly line over it)! Grateful not to have been caught in it. And that happy part is that my own road is clear. Ed saw roadkill while we were walking to the cattle gaurd for morning pick-up that freaked him out because as he came close to it it lifted it's head to look at him. I've never seen Ed scared of ANYTHING before. A fluffy bunny that you assume is dead and that then makes eye contact with you will do that. Have I told you that Ed thinks roadkill is good luck? He gets excited about it. He also said a live rattlesnake in the road is twice the good luck of roadkill, and a DEAD rattlesnake in the road is TRIPLE good luck. We should be set with luck around here.